Bold Visions, Daring Dreams covers the former Gustavus President’s life and accomplishments on the hill and beyond. 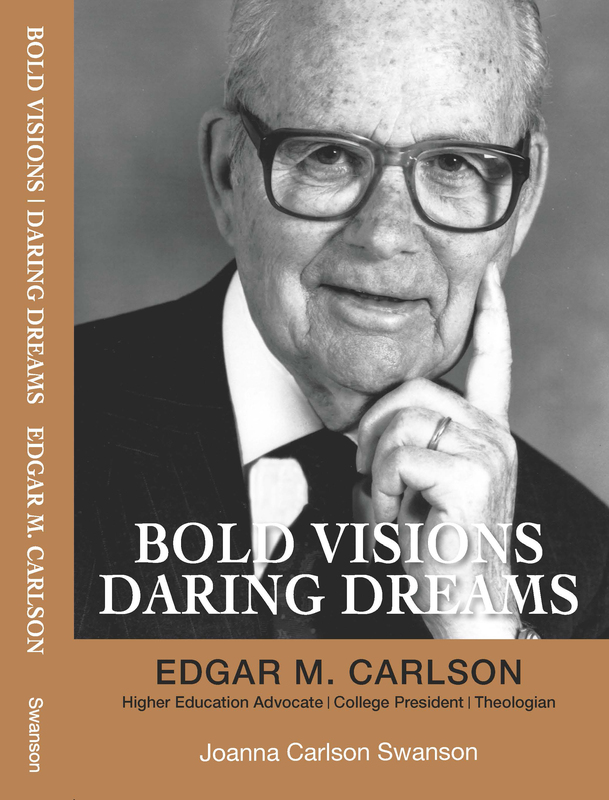 A new book celebrates the life and legacy of Edgar M. Carlson, Gustavus Adolphus College’s legendary president, who served from 1944-1968. Bold Visions, Daring Dreams, authored by his daughter, 1964 Gustavus graduate Joanna Carlson Swanson, explores Carlson’s term at Gustavus as president and active theologian, his subsequent work for the Minnesota Private College Council, and his impact on higher education nationwide. The book can be purchased online or at the Gustavus Book Mark. A 1930 graduate of Gustavus, Carlson continued his study at Augustana Seminary and earned the doctor of philosophy degree from the University of Chicago. It was under his watch as president that Gustavus developed the campus framework that generations of students and staff recognize today, including notable building projects such as Anderson Hall (originally the first library), the Nobel Hall of Science, and Christ Chapel. Other achievements involved a revitalization of the College’s connection with Sweden, the creation of the Nobel Conference, the implementation of the January Interim Experience, and a larger, more diverse student body. For Swanson, writing the book introduced her to more complex facets of her father’s leadership as he guided the College. “There was such a close relationship between the Augustana Synod and the College. The Church was really committed to making a good college experience possible and was very generous,” she explains, noting that Carlson’s work as a theologian informed his leadership as president. Bold Visions, Daring Dreams goes on to recount Carlson’s leadership at the Minnesota Private College Council, where he advocated for student financial aid programs, including the Minnesota State Grant and the federal Pell Grant, and strategies to strengthen Minnesota’s private colleges. 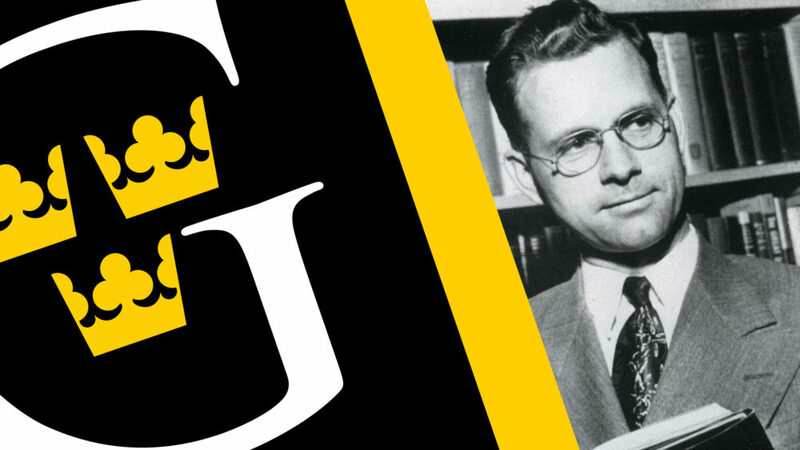 Carlson’s legacy on the Gustavus campus lives beyond his exceptional work – today the administration building bears his name, as does the College’s highest award for faculty teaching excellence. Bold Visions, Daring Dreams retails for $24.95 and can be ordered online or purchased in the Gustavus Book Mark, located on the lower level of the Jackson Campus Center. All proceeds from the sale of the book will be directed to the College’s Edgar and Ebba Carlson Scholarship Fund and the Christ Chapel Endowment.